DISNEY fans throughout Bromley are being encouraged to put their creativity to the test and design a poster for one of the year’s most hotly anticipated movies. 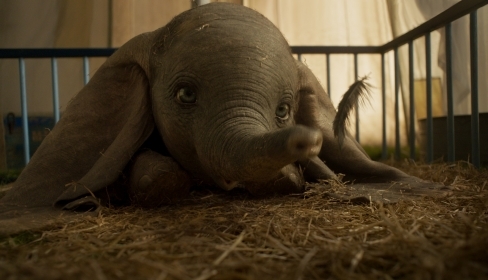 Vue is giving children the chance to design a poster for Dumbo, which is released on Friday 29 March. The live-action remake of the Disney classic is about a newborn elephant whose oversized ears make him a laughing stock, until it is discovered that he can fly. The new version of the film stars Colin Farrell, Michael Keaton and Danny DeVito. The winners of the competition will receive a £50 gift card for Vue Bromley and will also have the chance to have their artwork displayed in their local Vue. Those who wish to enter just need to visit Vue’s Facebook page at www.facebook.com/VueCinemas for more information. The competition is open until Friday 5 April.